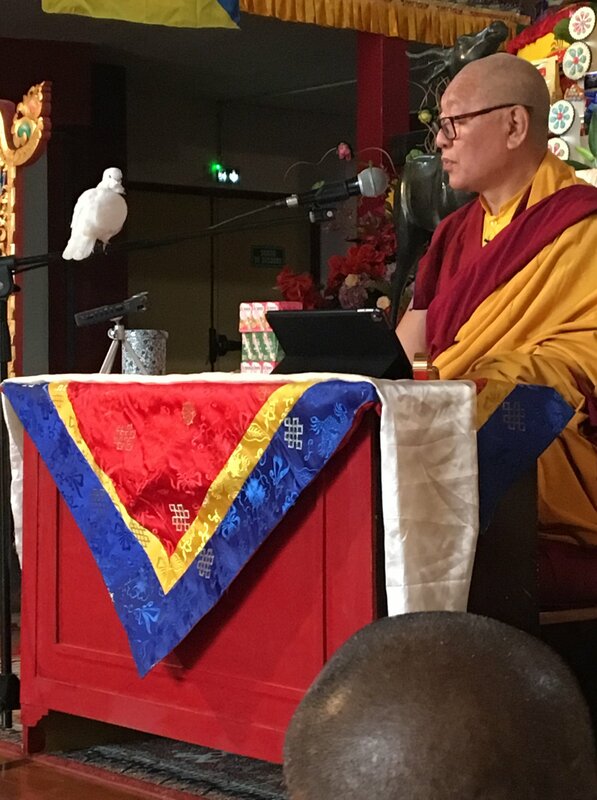 Teachings on the Four Bardos, based on Tsele Natsok Rangdrol’s book ‘The Mirror of Mindfulness‘, were given at the prayer event for world peace, Kagyu Monlam France, at La Grande Pagode in Paris. Part 1: Introduction to the Four Bardos. Photo courtesy of Véronique Weber via Kagyu Monlam France FB page.